32 oz. Mason Ball Jar Clear Glass Ball Wide Mouth. 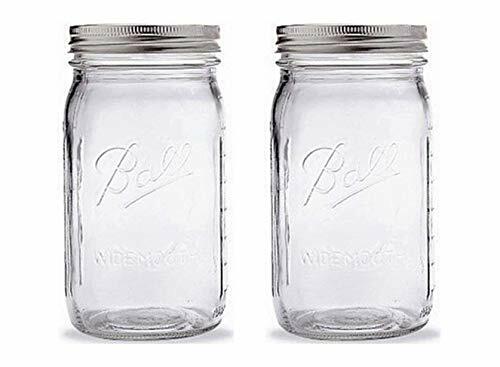 Set of 2 jars. Size: 7" x 3.5"
Great for candles, lotions, jams and jellies, preserves, herbs etc.